Want what compensation ah? Box of chocolate and flowers and refund of air fares is it? Bloodly cheapskates! the remaining pax will be eternally grateful. This is standard operating procedures. Years ago, on LON flight, also no water. Melted ice cubes just to make tea for bfast service. 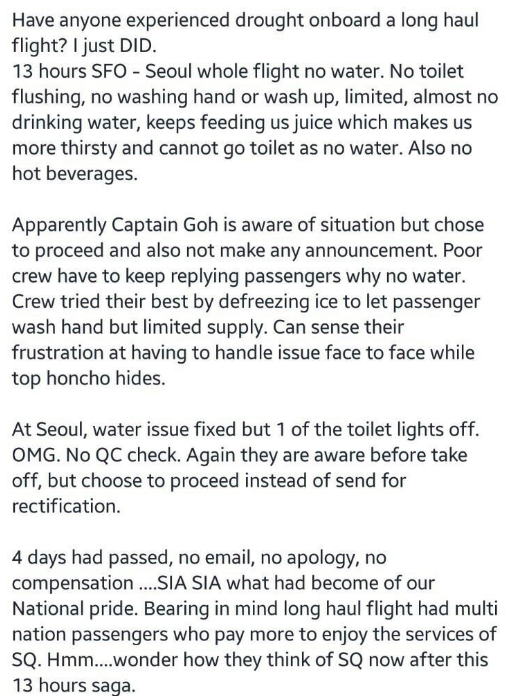 Till today, there is no standard response from the high & mighty cabin crew managers, SVPs on how to deal with such scenario. Crew have been used as shield.
" sorry, we have no alternatives.."
And a complaint is received by customer affairs, crew managers, CCE will target crew for "inappropriate" response and all attention and focus will now be directed at "crew behaviour"
The station manager is no longer the focus. You see? 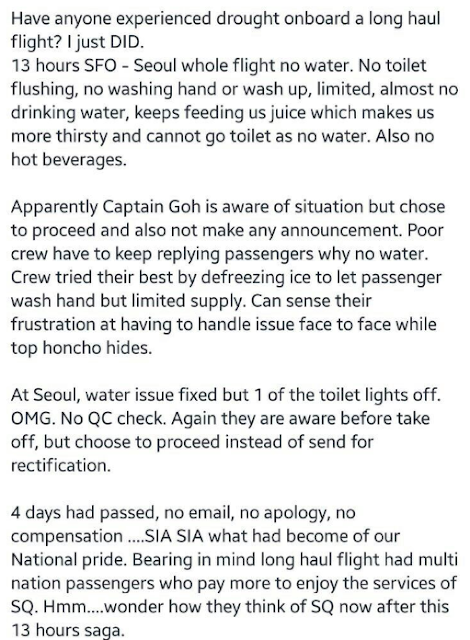 crew are extremely useful to SQ management.